This is a look at the designs submitted for the Memphis Southmen (Grizzlies) franchise. Update of the icon, kept the traditional white pants away and home look. 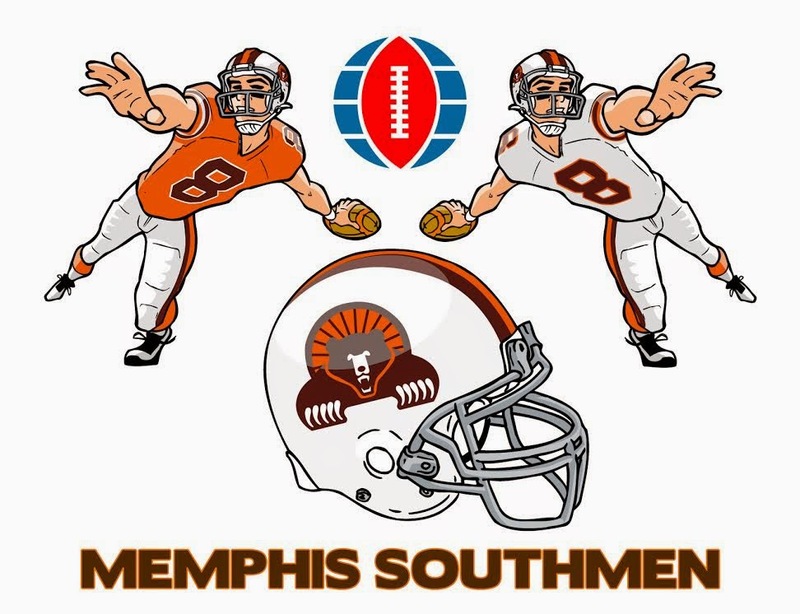 Memphis - The Southmen officially changed their name to the Grizzlies and switched to an orange helmet in 1976, after having applied for admission to the NFL with that name and being rejected. 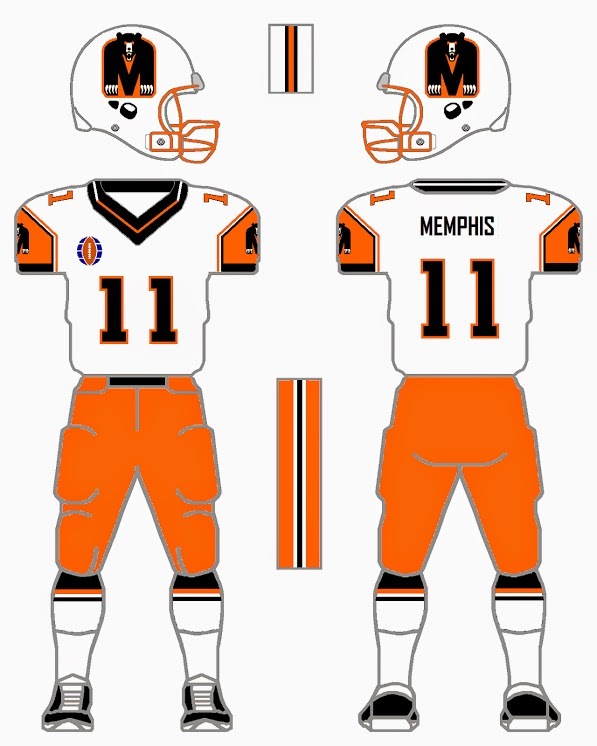 The orange pants were added in 1980, and the jersey numbers were changed from brown to white in 1985 for "legibility" reasons. 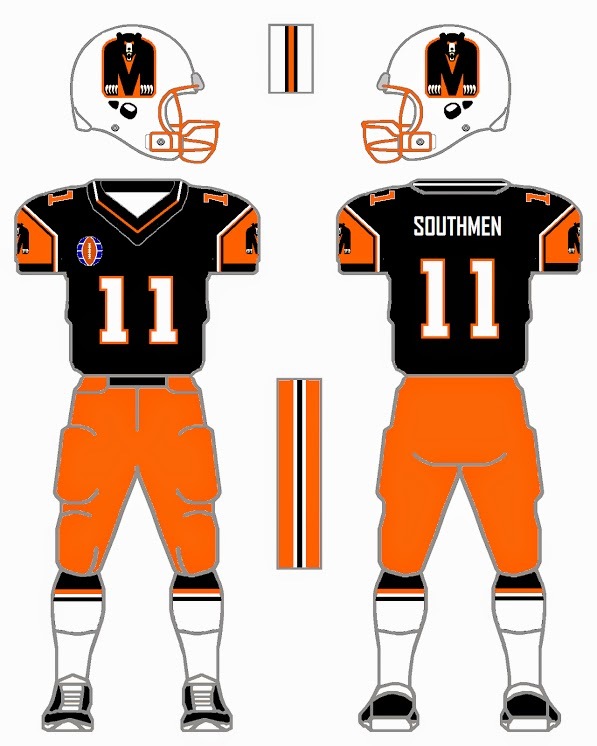 While many fans feel the logo is rather dated, the team has resisted the urge to modernize, though they have worn monochrome orange uniforms on 3 or 4 occasions. 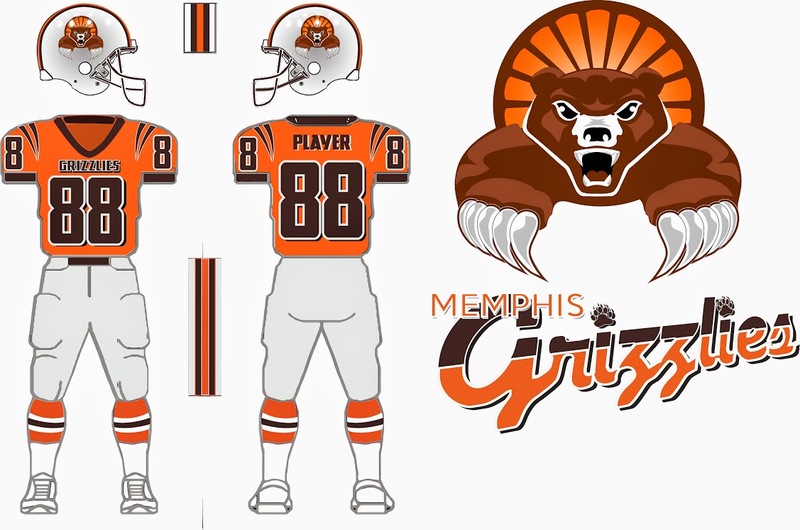 LOGO- Altered this a bit - I kept the grizzly head and claws from 1974 and added them to an "M" for Memphis , for an updated look. Also added the logo to each sleeve as a patch. 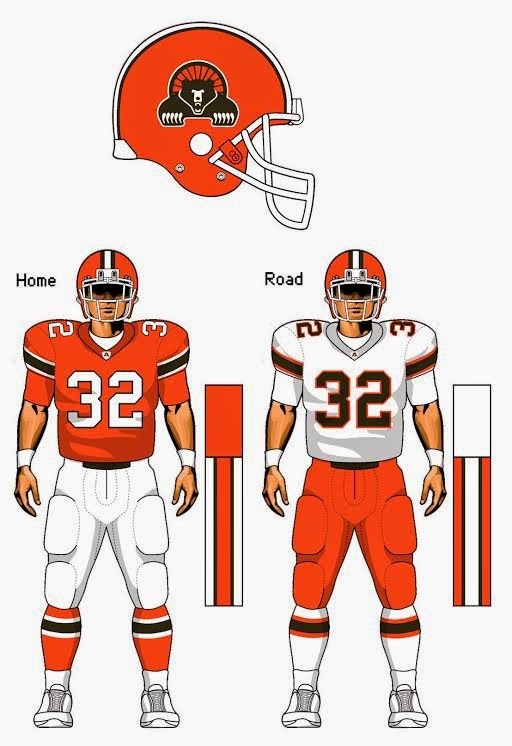 Colors- eliminated the brown and changed the colors to black, orange and white.